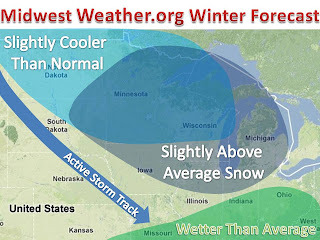 Midwest Winter Weather Blog: Midwest Winter Forecast! 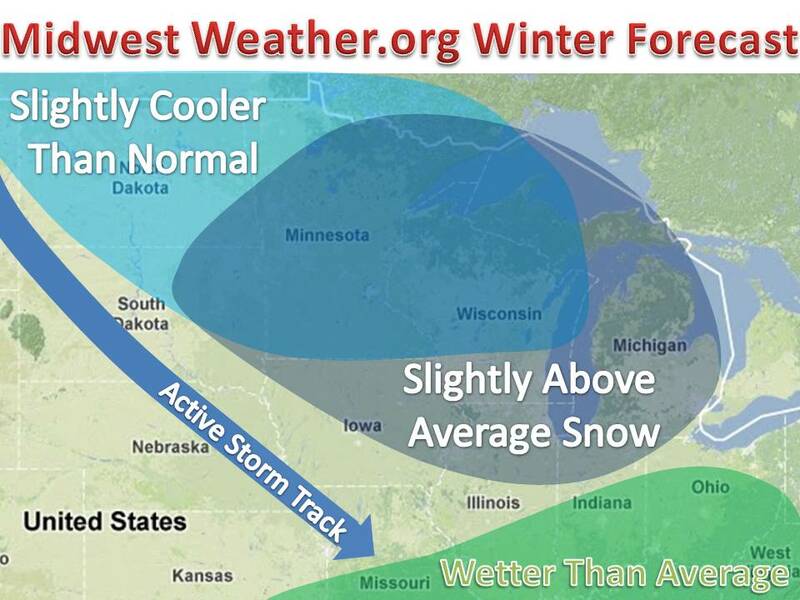 Here it is, the midwestweather.org winter forecast. This forecast was done through a process called ensembling. Multiple forecasts were evaluated and average out to make the forecast you see on the left. 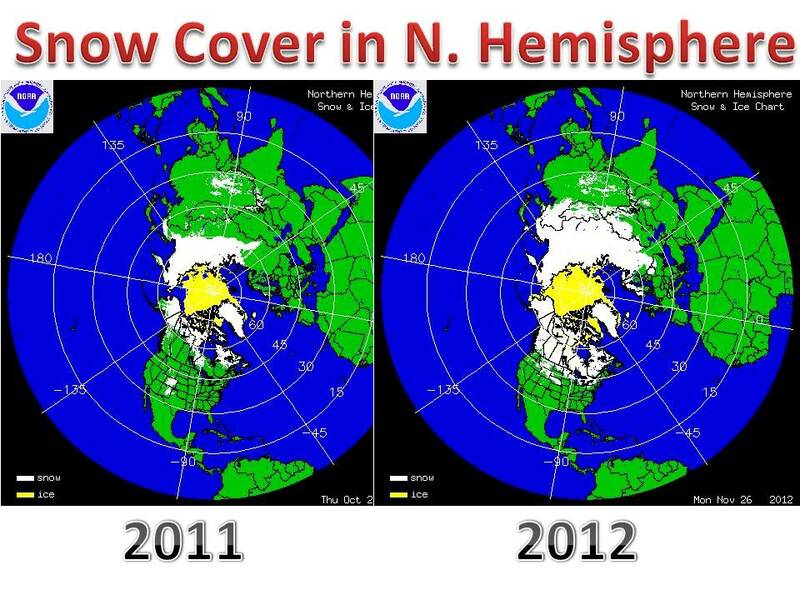 Earlier this fall many weather outlets were thinking there would be a moderate El nino, which would lead to above average temperatures and below average snow. That forecast will likely prove to be inaccurate because the latest forecast done by NOAA and the CPC is predicting a very weak El nino to no El nino. 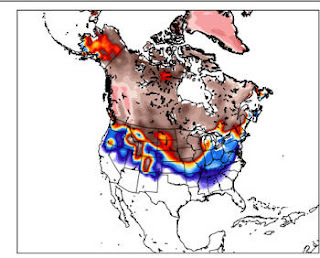 Overall, it will likely be a somewhat normal onw in the midwest, with areas of cold and above average snow. The graph on the right show the NAO (north atlantic oscillation). In simple terms, a positive value means quite weather and a negative value mean stormy and cold, for the most part. Since it has been negative for much of the fall, the start of the winter should include such values. This will lead to the worst of the winter to occur in December an January. The large winter storms will likely occur early and then transition to "clipper" systems to end the winter in February and March. These storms usually track on the blue arrow above. 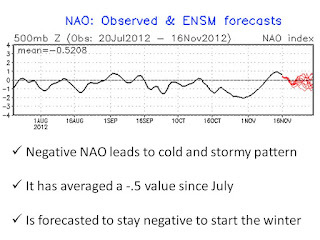 11/25/2012 update: The NAO is negative and forecasted to fall even more negative, look for a stormy December. Here is one indicator of a snowy winter possibly ahead of us. The more snow to our north, the colder it will be in the midwest. The snow reflects incoming radiation instead of absorbing. This leads to colder temperature overall. Here is one model depiction of snowfall through Christmas. The area in brown shows a snow depth of 10" or more. 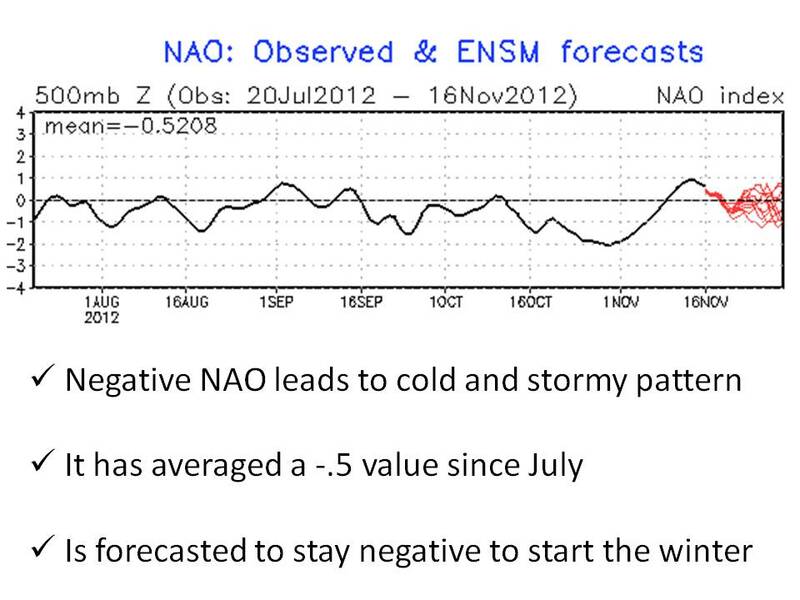 This goes along with the negative NAO and weakening el nino. Many computer models are showing an active start to the month beyond the 5th. We will have to wait and see how the storms pan out, but it is looking like a snowy month.